Former Denver Mayor Wellington Webb wants cheers for Clinton and Sanders - Denverite, the Denver site! Jul. 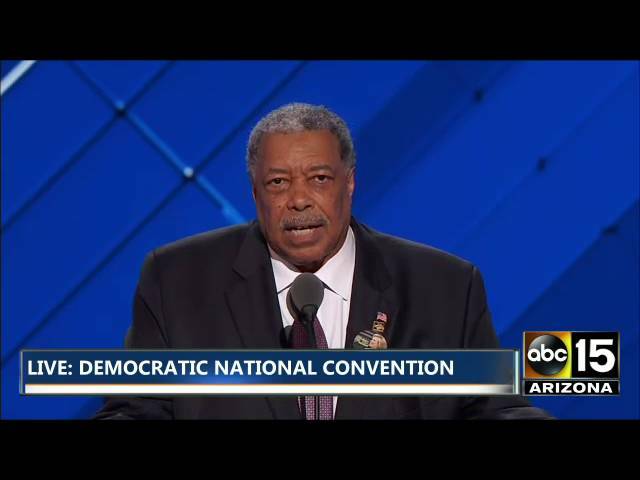 25, 2016, 4:22 p.m.
Former Denver Mayor Wellington Webb just addressed the Democratic National Convention and called on the delegates to put the primary behind them. Webb is a longtime supporter of Clinton. He’s also a member of the rules committee, and he said the party will work to make the nominating process better going forward. In the meantime, Democrats need to come together. There have been delegates booing at mentions of Clinton, not the look the party wants for a national audience. He allowed himself a questionable sports analogy. “Just as we watch LeBron James and Steph Curry shake hands after a well-fought finals, we know the country is eager to watch these two giants move forward together to champion progressive causes, and most importantly to ensure we swear in a president come January which will uphold the ideals we hold most dear,” he said.